In order to prevent several negative effects further due to the increase of air cargo tariffs by airlines, last year (2018), Asperindo or Indonesian Express Delivery, Post and Logistic have sent an official letter Number 102/DPP-ASPER/X/2018 to the Minister of Economy Coordinator (Kemenko) with copies to some ministries and related department including airlines. However, no response at all to the letter. As the Airway Bill (AWB/SMU) tariff increased, the companies as the members of Asperindo agreed to adjust the delivery tariff applied for customers in January 2019. The effect has been perceived by public as consumers including e-commerce practitioners, and all small-medium business players (SME) in Indonesia. Facing such condition, on Monday (14/1/2019), Asperindo conducted the first Plenary Meeting in 2019 at RPX Building, South Jakarta. The meeting was the Grand Plenary Meeting as it was attended by the leaders or representatives of (DPW) Asperindo from all regions in Indonesia, from Sumatera, Java, Nusa Tenggara, Kalimantan, Sulawesi and Maluku. All members of DPW Asperindo came directly to the venue to collect some data and information details from every region. Moreover, various aspirations were expressed as the tariff increase triggered various problems in every region. The increase of air cargo tariff has forced the companies from operational costs. The highest increase could reach 330% as what happened in North Sumatera. Therefore, all Asperindo members agreed to make furthers steps as a form of disagreement against the increase of air cargo tariff. In association with the Asperindo’s steps and the agreement results from the Great Plenary Meeting, the Secretary General of Asperindo, Amir Syarifudin, acted as the meeting leader said, “Asperindo formed a special work group that will focus to handling the issue. As there’s no response from the ministry yet, Asperindo also agreed to conduct escalation by sending an official letter directly to the President Joko Widodo”. The last effort as an agreement from all Asperindo’ members is to conduct a real action. “If the President neglect the issue, we will use our maximum effort to conduct a demonstration by halting some deliveries using air cargo on indefinite date and period of time. Obviously, it’s based on several considerations, and it appropriates with the lawful regulation,” said Amir represented the aspiration from the participants in Asperindo’s Great Plenary Meeting. He also said that the steps are only to make the government give special attention and follow up the issue as it is against the government’s “Nawacita” (The Nine Agendas) program that aim to lower logistic costs. “The current logistics are not only related to sea and land transport, but also air transport. 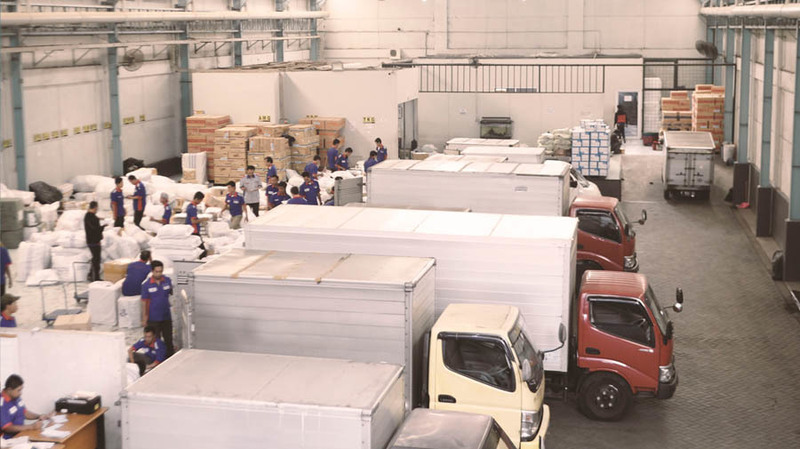 Not only does the increase give effect to the members of Asperindo as logistic companies and their customers including the SME and e-commerce players, but also to commodity industries such as perishable goods industry,” said Amir. Industries that need swift distribution are like sea products, agricultural and others that give big contribution towards Indonesian economy so that we need the central government’s attention. “Therefore, all steps that we do as our real support towards the small-medium business, e-commerce and industry players depend on air transport,” he said. Previously in the press conference on November 26th, 2018, the General Head of Asperindo M Feriadi uttered the steps of logistic, posts and express companies, the members of Asperindo in facing the air cargo tariff increase. After that the companies as the members of Asperindo agreed to increase the delivery tariff or costs in January 2019 and maximize the use of other transportation besides air freights as well as plan to purchase some freighter airplane that can be used together.